For those who prefer these more classic colors, cross-point offers stitching patterns in traditional combinations of hunter green, brass, bronze, grayed olive greens, earthy clay colors of burnt peach and copper, oatmeal, tea leaf, hickory grayed browns and other soft woodsy tones. 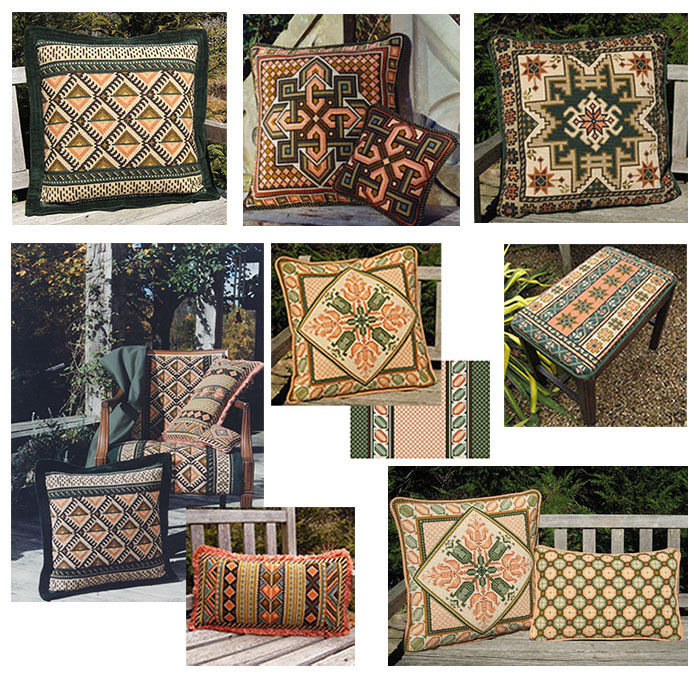 All of these patterns are available in multiple size options, from pillows to rugs. Please visit the cross-point website Pattern Pages for more information.